If there’s one thing that’s true about a great deal of homeowners it’s this: despite all the care and attention many put into making their home’s living spaces as beautiful as they can be, there’s one room that always seems to get neglected… The master bedroom! Looking at things with a bird’s eye view, this kind of makes sense. The master bedroom is just a place where you go to sleep and to get dressed and undressed in the morning and evening respectively. Because of this, many master bedrooms ultimately end up becoming completely uninspired in terms of their look and design. But, things shouldn’t be so! Think about it this way. Provided you’re getting as much rest as you should be getting, you’re going to end up spending about one-third of your life inside of your master bedroom’s walls. Given that, shouldn’t that space be everything that it can be? Of course it should! And that’s exactly why we’ve put together this list. 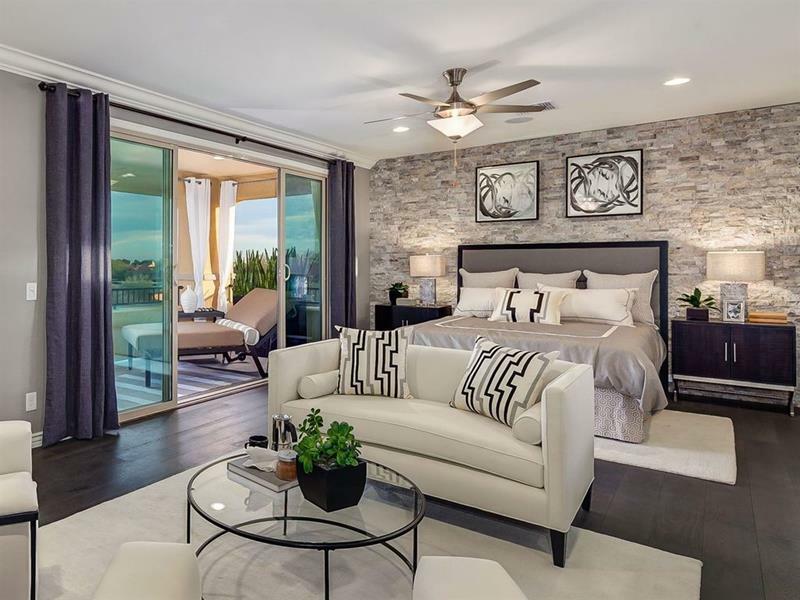 On it, you’re going to find 20 beautiful master bedroom designs, each of which should provide you with plenty of design inspiration! Let’s take a look, one of these is sure to be something that will appeal to your unique sensibilities and sense of style. There’s no denying that lush green and muted blues create a calming vibe in a master bedroom. You’ve got to love how the stone accent wall perfectly complements the color choices in this design. Note how the tray ceiling here helps to complete the luxurious feel of this master bedroom. 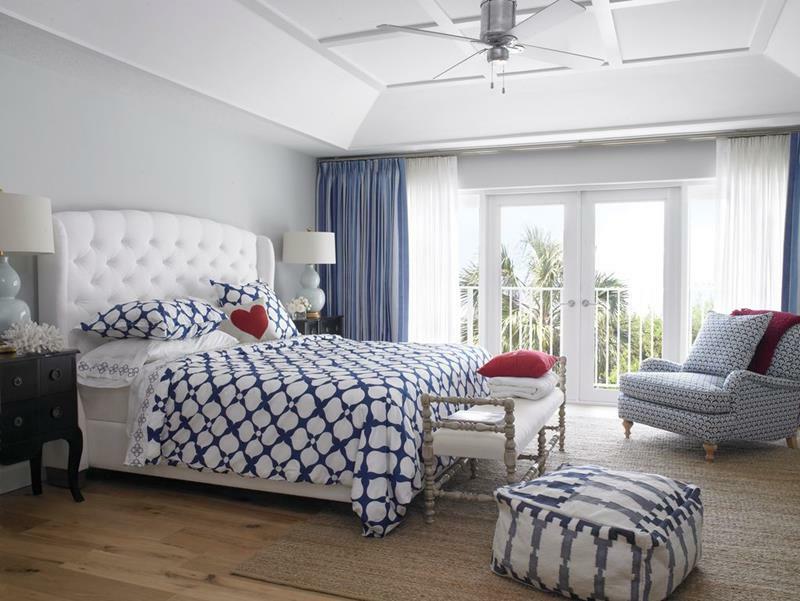 The white and blue color scheme of this master bedroom adopts an almost nautical aesthetic. The cute little bench at the foot of the bed here is a wonderful choice for this space.